With many years experience in the car bodywork and accident repair industry, Cosmetic Car Care offers an exceptional standard of service, repairing bumper damage, key scratches, car park dents, chips and more to customers throughout the region. We also specialise in lease car returns. Established in 2006, the business is based in Tunbridge Wells, Kent. With state of the art technology and fully qualified staff, who between them have over 60 years experience, the company is able to offer a meticulously thorough and a professional service. The service is designed to be cost effective, saving up to 60% on body shop prices, whilst maintaining the highest of standards. 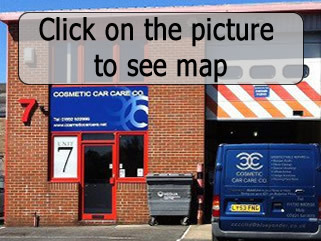 Cosmetic Car Care has a satisfied network of clients, situated throughout the South East, including customers such as Lifestyle dealerships in Kent and Sussex, also Volkswagen, Toyota, Citroen, Fiat and many more including a large office and household community.